The next carnival starts on 20 February and ends on 25 Februar 2020. During that time, Lucerne's Old Town is transformed into one big festival site. People celebrate, make and enjoy music, and dance. A loud explosion (the Urknall or «Big Bang») at five in the morning of Schmutzig Thursday marks the start of the Lucerne Carnival. All is quiet again the following Ash Wednesday, which is forty days before Palm Sunday. 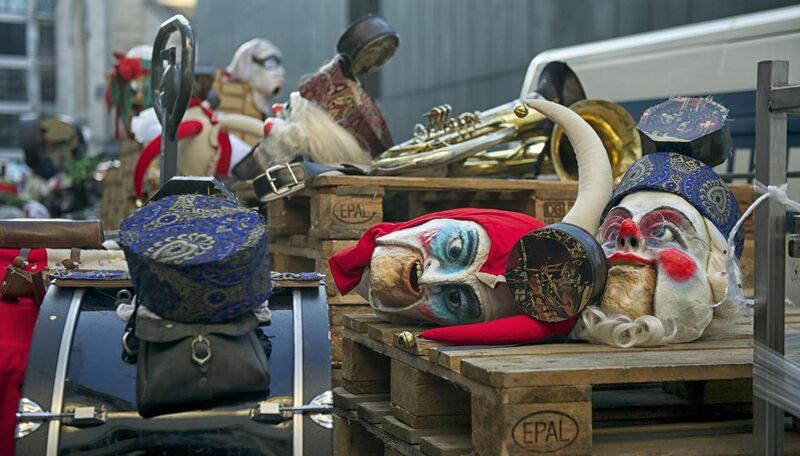 Bizarre figures in fantastical masks and costumes parade through the alleyways, while groups of musicians blow their instruments in joyful cacophony and thousands of costumed revellers chase the winter away. 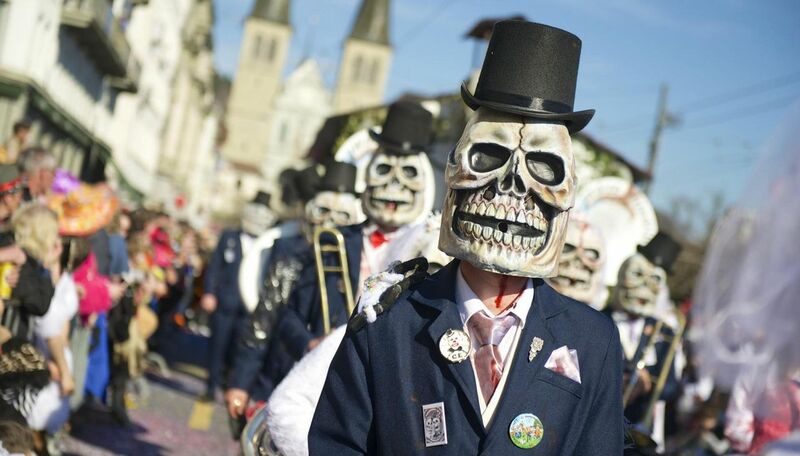 The Lucerne Carnival is unlike any of the other carnival customs in Central Switzerland. The Urknall «Big Bang» occurs in Kapellplatz at five in the morning of Schmutzig Thursday. 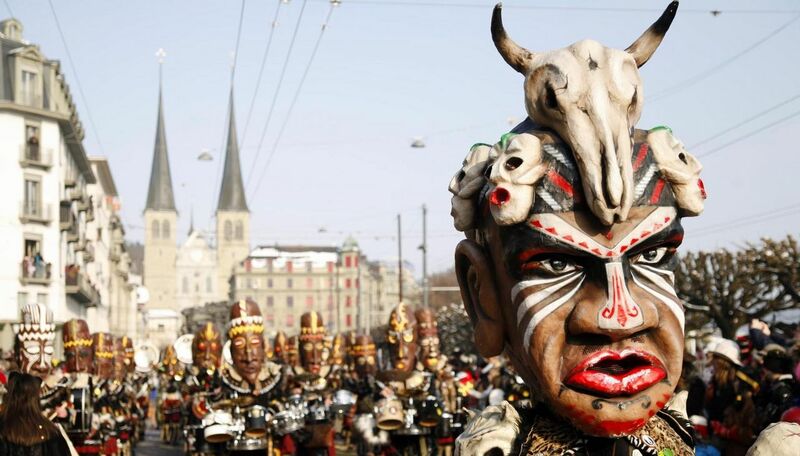 The first Lucerne parade (the Fritschi) starts at 2 p.m. at the Luzernerhof. The final parade (the Wey) takes place the following Güdis Monday. This also starts at 2 p.m. at the Luzernerhof. The giant Monstercorso parade takes place the following day on Güdis Tuesday. That starts at 7.30 p.m. in Bahnhofstrasse. During those few wild days, Lucerne's bridge paintings are covered with plywood panels featuring carnival art. The carnival art displayed in the gable of the Chapel and Spreuer Bridges is created by the various carnival groups; the plywood serves to protect the historical paintings underneath.